If you wanted to go to a city best described as being situated the end of the world, where would you go? Many travel experts would suggest you head out to Ushuaia. 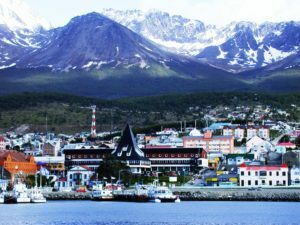 As the biggest city in Tierra del Fuego, Argentina; Ushuaia is often referred to as the southernmost city in the world. It is also a place steeped in history, having been once a penal colony, a missionary base and an Argentine naval base. These days, Ushuaia is flourishing as a tourist hotspot that treats its visitors to a slew of restaurants and casinos. The city is also the preferred base for winter activities and cruises heading to Antarctica. Because of Ushuaiaís uncanny geographical location, people flock here to get the chance to explore the famed Patagonia region. The city is ideally surrounded by mountains, lakes, forests, and the sea; all of which make Ushuaia truly pleasing to the eyes. All of the main activities in this Argentinian city are related to nature and the outdoors. While here, you can enjoy horse riding, climbing and hiking. During winter months, tourists head out to Mount Castor Ski Resort to take advantage of skiing or snowboarding opportunities on a marvelous snowy terrain. Mount Castor also offers thrilling husky sleigh rides. But how do you get to the southernmost city in the world? The fastest way is flying and luckily, the city maintains its own airport, the Malvinas Argentinas International Airport (USH), which facilitates daily flights mostly from Santiago de Chile and Buenos Aires. If you wish to travel by land, you need to take a bus to Rio Gallegos; and from there, ferry crossings into Chile and then back into Argentina are necessary. Getting around the city involves using city buses and taxis. However, the buses do not reach most of the tourist sites like the Laguna Esmeralda trailhead. So if you want to see all the sites, a convenient option is sign up for a guided tour. 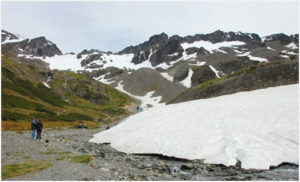 Glaciar Martial or Martial Glacier is one of the must-see sites accessible from Ushuaia. To have a more satisfying experience of the prominent glacier, hike all the way up to its top, and you will be rewarded by spectacular views of the city and the famous Beagle Chanel. While in Ushuaia, consider booking cruises and expeditions around nearby islands, bays and glaciers. A number of tour companies have kiosks set up at the waterfront area of the city. From here, tourists can book half day or full day cruises up and down the Beagle Channel. 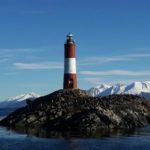 Cruising from Ushuaia is truly one activity not to be missed; but before you choose a cruise company, make sure to scrutinize the available itineraries first as they can vary greatly. Some cruises run east toward the Atlantic Ocean and the Herbeton Ranch, while others go west to the Tierra del Fuego National Park. Tierra del Fuego is frequently visited for its bountiful flora and fauna; but itís also an important historical site as this was where some of the first settlers of the country arrived. Other notable sites usually visited by cruises include Isla de los Lobos (Sea Lions Island), Isla Martillo (Magellanic Penguins), Isla de Los Pajaros (Birds Island – lots of cormorants), H Island or Bridges Island, and the lighthouse, Faro Les Eclaireurs.